Some days you want to make a statement. Other days you want to make a big statement. 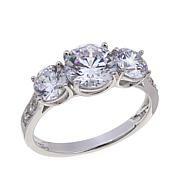 This Absolute duo caters to all your style needs with two rings you can wear in subdued singles, or in a showy stack. 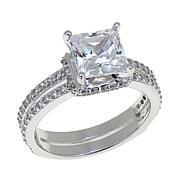 The Absolute cubic zirconia carat weight represents the approximate weight of a real diamond of the same size. 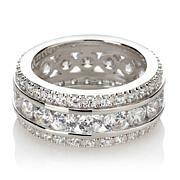 I absolutely love this ring set!! I got this set because I dont want to wear my real ring at work. This is very believable. It has a high setting which I love and it sparkles like crazy! 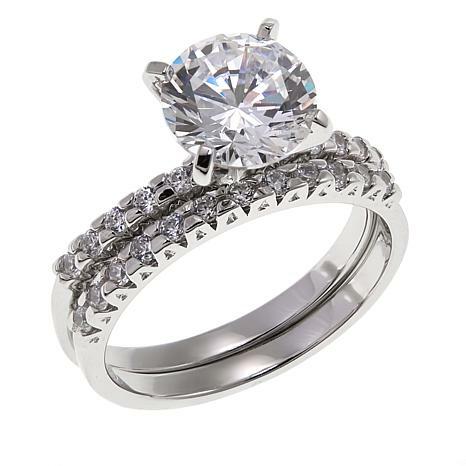 Ladies get this ring!!!! Cannot give it a 10 for it is not real, but at the same time, one might look and think it is real. So, put together a very nice looking set for make believe! Discover Absolute, an HSN-exclusive line of simulated diamond, simulated colored gemstone and lab-created gemstone jewelry. Precisely cut, finely polished and set in precious metals, Absolute stones include top-quality cubic zirconias that display a higher dispersion of light than natural diamonds. 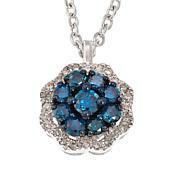 Get the beauty and brilliance of expensive natural diamonds and gemstones at a fraction of the cost. Remind me about Absolute upcoming shows.